You were alerted years in advance. It’s no surprise that Canadian talent is now emerging on NBA draft boards in waves. North Pole Hoops has been tracking the growth and progress of these athletes since high school. Over the last three years, seven Canadian players have been drafted, which includes the #1 overall selection in Anthony Bennett (2013) and a total of five first round draft picks. In 2014, more history will be made. Get this…a potential 8 Canadians could be selected in the 2014 draft (at best), with the operative word being COULD. Only 60 prospects will enter the league on June 26, and decisions being made by NBA team personnel on that night are not set in stone, as they are dependent on what is in front of them. Who is still available on the board? What position is the team trying to fill? Do they take the best available regardless of position? All these questions are more are taken into account prior to selections. I composed a top 10 Canadian NBA prospect list earlier in the year, breaking down each player. Players have made their decisions on whether they will be staying in college or moving on to the next level; we can now take a look at these Canadian NBA candidates. It’s unanimous, these three are first-round locks. I will remain consistent in saying Jordan Bachynski will play the role of dark horse, as he is not on any draft boards. I can see him going anywhere from the end of the first round to mid-second round. His age could work either for him or against him depending on who you talk to. On the plus side, you won’t have to worry about maturity issues. Conversely, some teams love to work strictly with youth. Dwight Powell – Everyone loves his versatility and upside at the NBA level, which could have him sneaking into the first round, if not early second. Sim Bhullar entering the draft surprised many, including me. 7’5 Bhullar would be the biggest player in the draft, and in the NBA if he is to be selected–maybe too big, as getting up and down the floor will be a challenge at the NBA level. He is a very good passer with high basketball IQ and of course a major presence defensively. An NBA scout told me he will likely not get drafted, but will be a desired free agent. Khem Birch – Big time shot blocker, rebounder. Melvin Ejim – Owns the most polished resume out of any Canadian. Undersized for his position at NBA level, but has shown progress in developing skill set. High intangibles. I can see him as a mid-late second round selection. Olivier Hanlan – Spoke to a source close to the situation, that told me Olivier’s goal is to be a first round selection, and he would likely have been a second rounder in the 2014 draft. Hanlan returns to Boston College for junior year. One NBA scout told me that he needs to prove without a doubt that he can play the one spot and run a team. 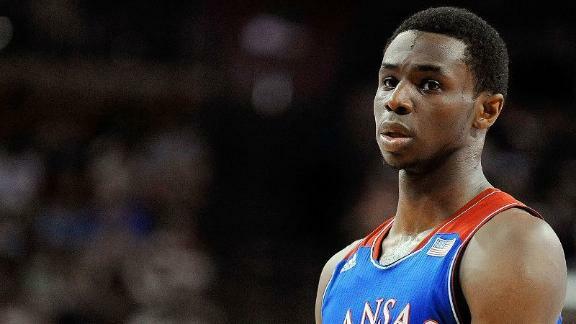 Wiggins Drops 30 on 20th Birthday!